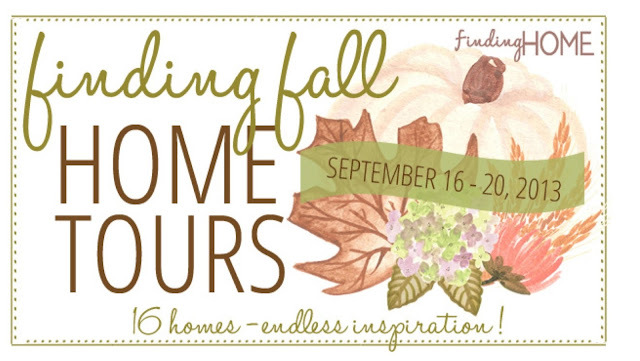 The Yellow Cape Cod: Finding Fall Home Tour with BHG!! Finding Fall Home Tour with BHG!! Start out at Finding Home and then we move on to Jeanne Oliver and The Yellow Cape Cod. My Sweet Savannah, At the Picket Fence (where you get to see two houses including Heather’s new home) and Jennifer Rizzo. The Handmade Home, All Things Heart & Home and In My Own Style. And there is one final stop – Better Homes and Gardens! Thank you, Laura at Finding Home for organizing the tour and for including me. I love that you use so much black, but your rooms are so warm. Thank you, Jessica. I do love black :) . This is SOOOO exciting! I cant wait to see:) Congratulations!